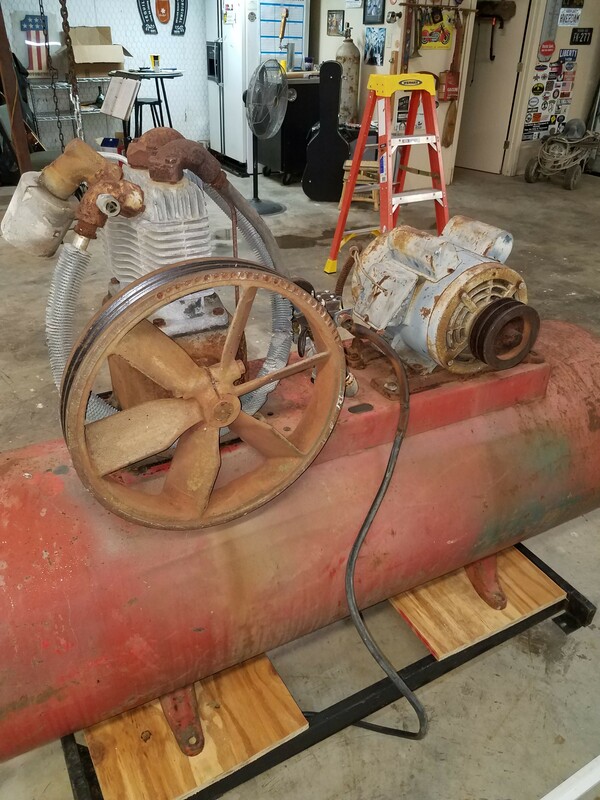 Having an issue with Identifying An Older Air Compressor? 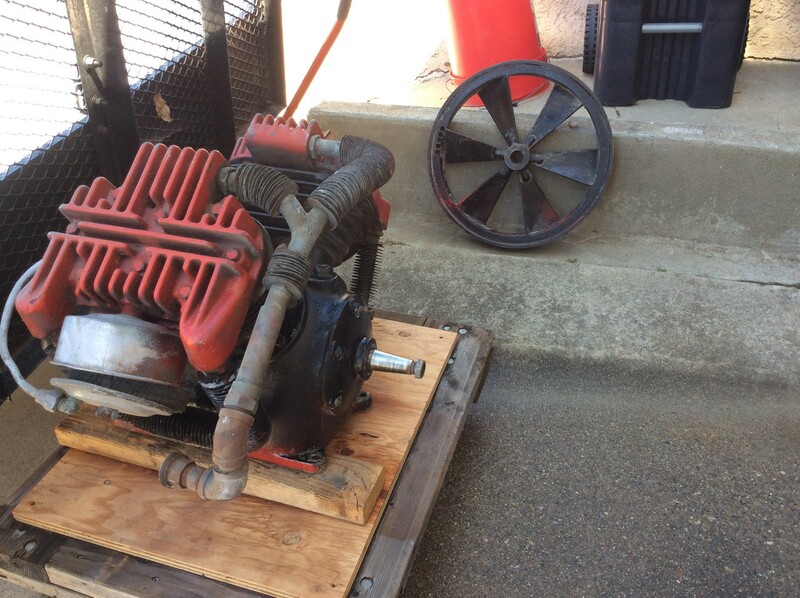 Air compressors have been around in one form or another since the dark ages. 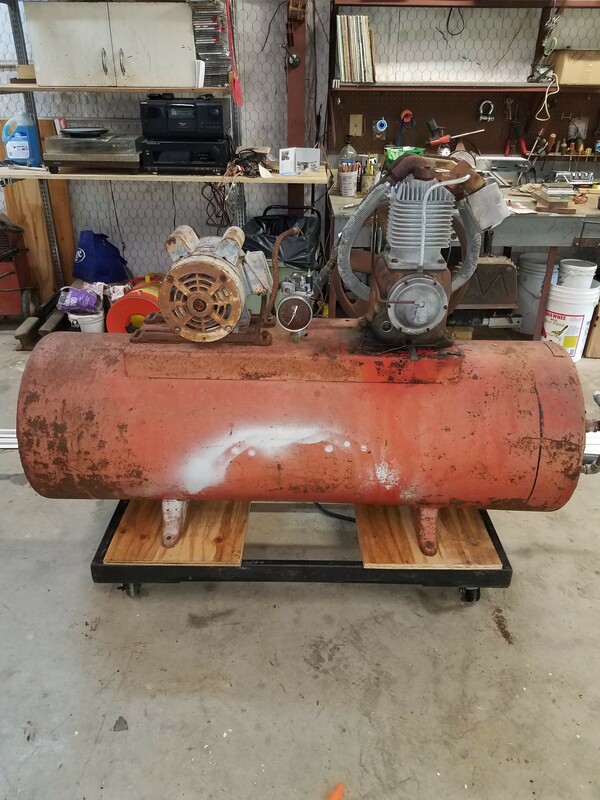 If you need help in identifying an older air compressor in order to try to source parts, find a compressor manual, or just get some online guidance on proper use and so on, this is the page to do it! To make it easier for your compressor to be identified, preferably add at least four photos, one photo from each side. 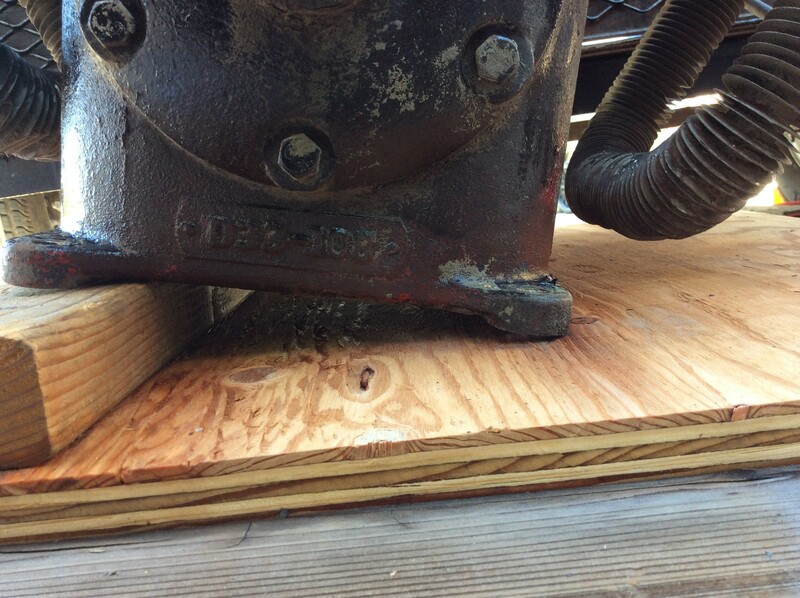 More photos of an older air compressor almost always leads to faster help. No photo? Sorry, no posting on this page. Below there are a number of existing compressor identification requests already posted. As you scroll down the page to the new-question form at the bottom, please have a look at some of them. 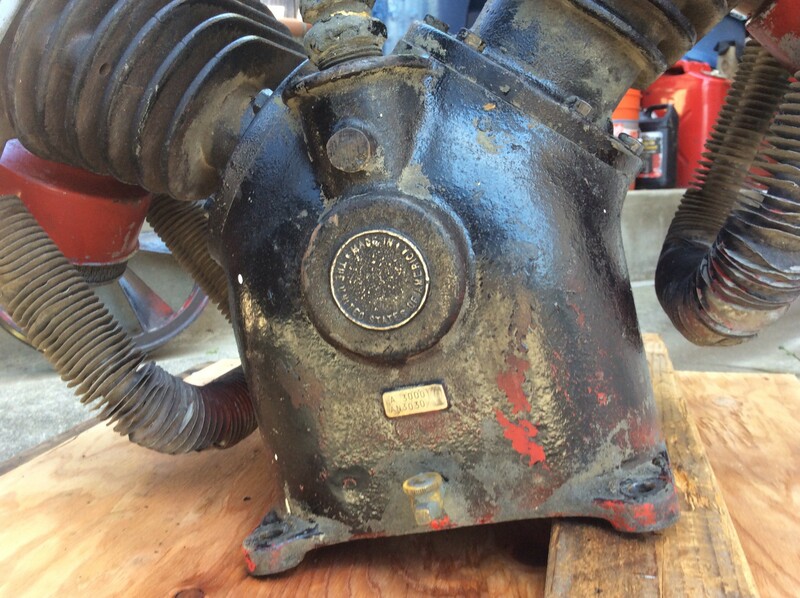 If you can help identifying another owners compressor it would sure be appreciated by all. New comment? 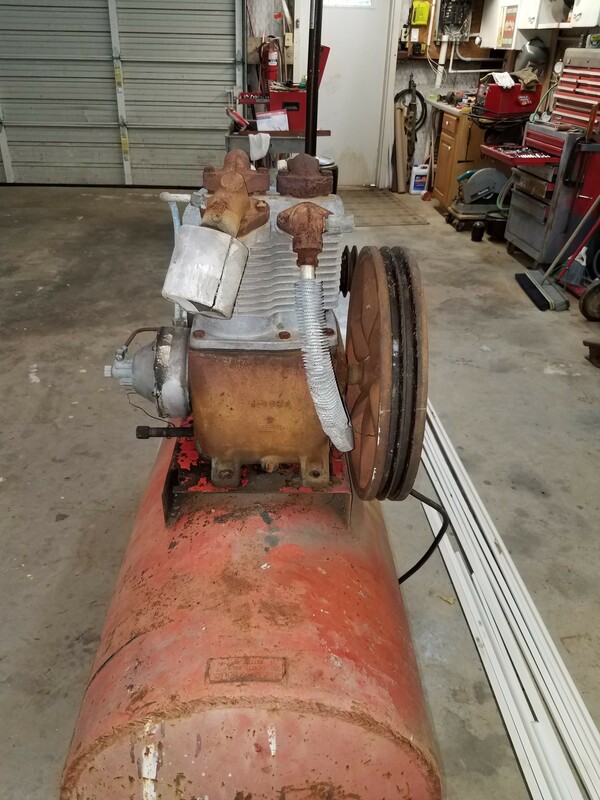 New old compressor? 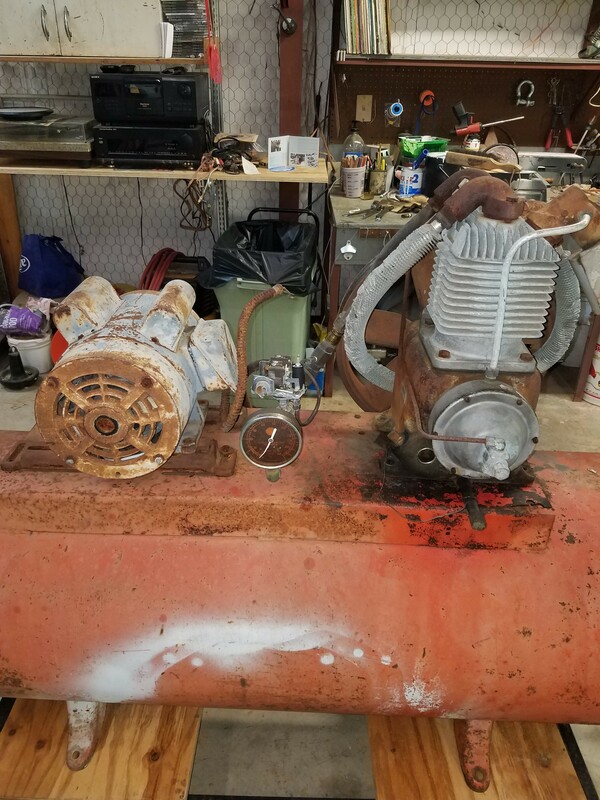 Please add it here along with photos to help others help you with your compressor and equipment problem! What a beast! Dual two-stage. Looks like the heads are identical except for the exhaust hole. Never seen anything quite like it. The sheave is what, about 14 inches diameter? Any idea what it was on, or the motor power? M-1820 below that is a G with a circle around it and below that is 122077 V. I knocked some of the rust off and the compressor looks like it was a blue- green color at one time. I think that’s a champion R15A pump. There’s R15, R15A and R15B pumps. Don’t know what the differences are, but they seem to be pretty minor. 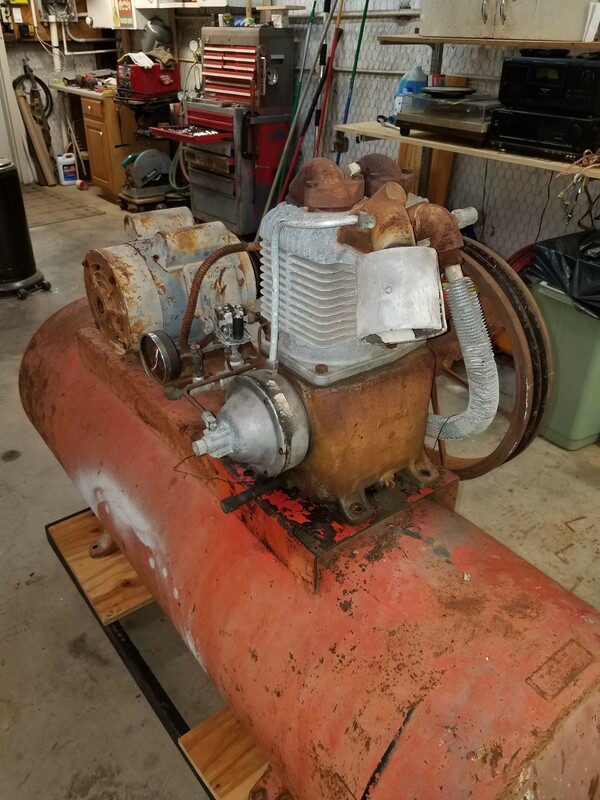 Takes a 5 or 7.5 HP motor. Any ideas about this compressor? Maybe you could add a close-up of the pump plate shown in the first shot? Please help me identify this compressor. 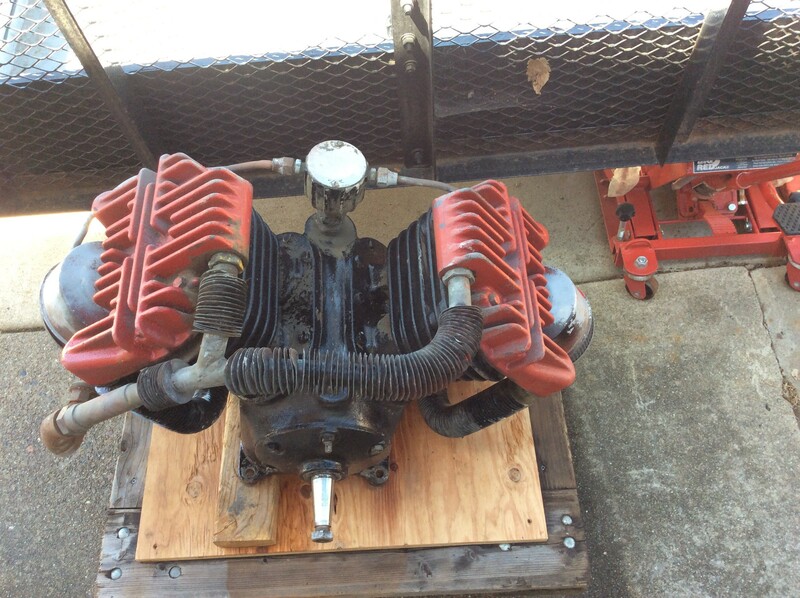 It seems to be a twin piston single stage. Correct me if I’m wrong. The only two numbers I can find on it are R50043-2 and A50169 which are located near the outlet. I believe the original color is a pale green. It seems to have been painted over with red. 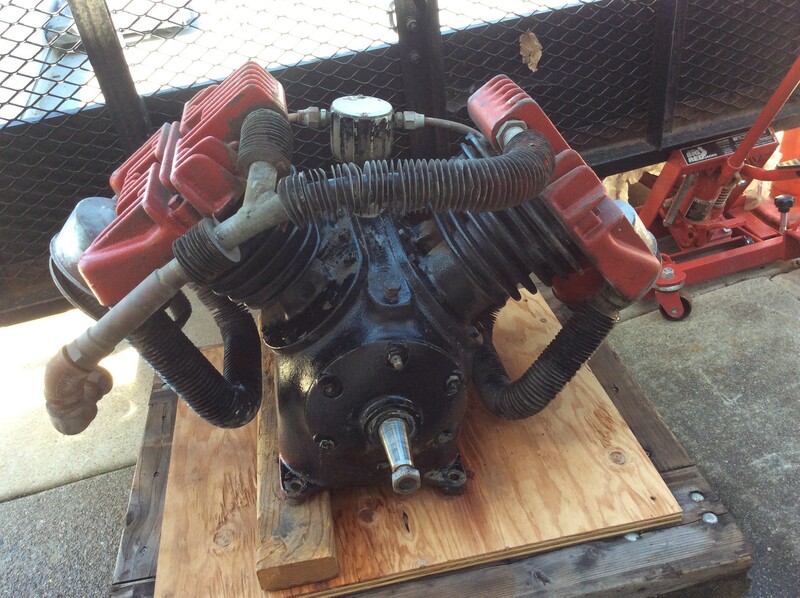 “It seems to be a twin piston single stage.” If the pistons are the same size, for sure. I was wondering about the 1/4 tube between the two, but then saw the inlet on the other side, so that’s probably for the unloaders. Can you tell me anything about this compressor? Hello James. Other than it’s an “interesting” color, the name tag Saylor Beall identifies the make. I can see it’s got a G.E. electric motor as the power source. Saylor-Beall is still in business, and contact information is available on this site on this page. They might like to see the photos too and can provide a wealth of information about your compressor, I’m sure. The motor is perhaps under-rated and for continuous duty, as it draws 3/4 HP worth of juice, but looks like it’s rated for only 1/4 HP, so should run pretty cool. Ditto the pump because it’s a S-B.